Birthplace of the Bellini. Playground of Hemingway. All-around fine establishment. Biggest drawback: currently, it’s about 4,649 miles away. Yep, location, location, location. 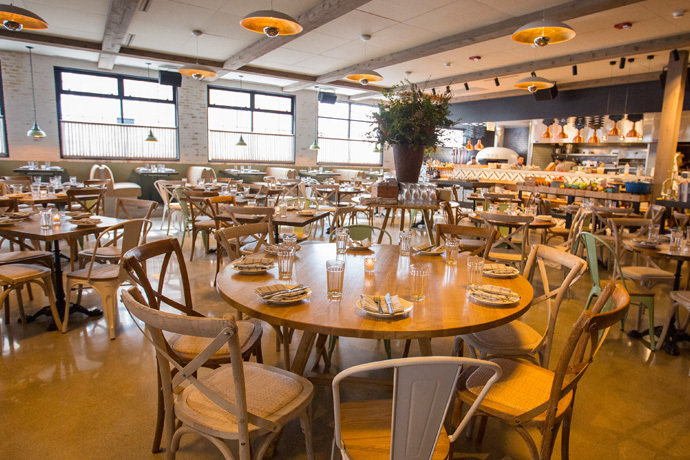 Try this place instead: Cicchetti, a soon-to-be-bustling, Venice-style joint, opening Monday. This spot is convenient when you’re looking for a bar that can suit any number of needs—chiefly, post-Mag-Mile-shopping martinis. You don’t want anything too froufrou. Just someplace bright, easygoing and clad in enough marble to outfit several Roman baths. That’s this place. Swing into the front bar, order a Montgomery martini (the driest martini known to man) and some pork cracklins. You’re all set. Now, for your bigger occasions (pre-holiday get-togethers with friends, welcome-home tiramisu sundaes with Kanye), reserve a spot in the dining room. It’s more elegant here, but with the rustic charm only wood beams from an old Wisconsin grain elevator can provide. The chef is Michael Sheerin, whose bona fides include Trenchermen and Blackbird. He’ll warm you up with his takes on Italian classics, including a Venetian stew that’s teeming with lobster and mussels. Now that’s what we call teemwork.